Everyone loves a bargain, but in the tough world of modern industry, where deadlines are critical and wriggle room for errors non-existent, some equipment-related ‘bargains’ can be disastrous. Freight movement demands a just-in-time inventory system, a system that is constantly in motion. Stock comes in, stock moves out and the entire process works on the domino principle, with each phase of the job falling into place exactly. Should a domino fail to fall at a critical point, though, the supply chain breaks, causing a hold-up of unknown proportions that creates a bottleneck effect in any warehousing structure. Trucks sit idle because they cannot be loaded, and when they do finally move, they are late and the stock is delayed getting to the retailers, sometimes bringing penalties, sometimes causing contract cancellations. In many cases the most critical pieces of equipment are the forklifts used for unloading, racking and reloading the vital goods being shipped around the country. And the forklifts recording the highest failure rates also happen to be the cheapest: lift trucks made by independent enterprise companies and often built using inferior and sometimes counterfeited parts. Second-hand grey import forklifts, offered without Australian Standard compliance, also have the potential to cause headaches for owners and operators. Making it worse, these lift trucks are usually imported and sold by opportunistic entrepreneurs with little or no understanding of the lift truck industry at worst or a basic working knowledge at best. Compounding problems, the trucks are promoted and sold in a “never mind the quality, feel the width” scenario reminiscent of the 1970s Gold Coast white shoe brigade. The equipment is cheap, usually nasty and the service back-up variable at best. In many cases the retailers – having sold their shipment of cheap lift trucks – leave independent service technicians to deal with the mechanical fallout. Industry experts say the sellers of the often strangely named lift trucks rarely have a servicing plan in place for ongoing support, and warranties, at best, often mean little more than supplying owners and operators with replacement parts and leaving it up to the owner to find a fitting service. Currently there are more than 80 forklift manufacturers building lift trucks and other industrial equipment independent of the trusted brands that make up the Australian Industrial Truck Association (AITA). The importation rate of vehicles from these companies into Australia is variable with trucks arriving in small batches, the numbers largely dependent on both the number of local businesses prepared to commit to establishing themselves (briefly, in many cases) as importers and distributors, and the number of companies prepared to commit to actually buying the cheap forklifts. In many cases, according to members of the AITA, those who do set themselves up to handle the non-mainstream imports are either existing second-hand industrial equipment retailers or opportunistic importers willing to take a punt on shifting the bargain basement equipment. 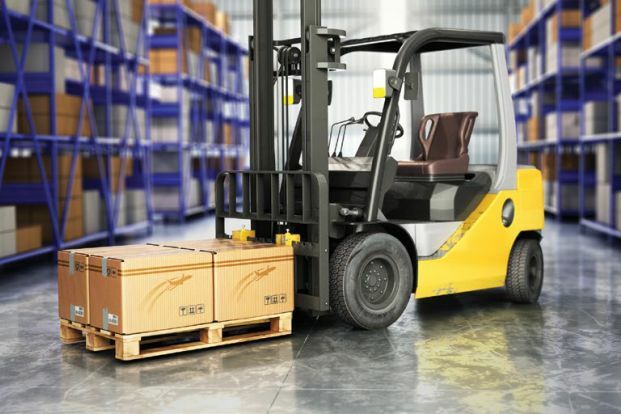 The biggest issue is that the cut-price forklifts are being bought by small business operators working to tight budgets: people who are generally unfamiliar with lift trucks, but in need of a unit to help with stock management. In almost every case the retailers are independents with no long-term business plans and the trucks sold without the backing of well-represented state or national dealer networks. In some cases there is not even any real shopfront scenario, and instead the lift trucks are advertised online or in the classified sections of newspapers and industry publications. “You can actually buy a brand new forklift off Gumtree, Ali Baba or eBay,” said Crown Equipment’s director of sales and marketing Craig Kenchington. “Rarely do they have sales experts checking the suitability of the vehicle for a customer’s application. Like all imported goods, from toys to toasters, imported industrial trucks are required to meet all the applicable Australian Standards before they can be sold. But there are problems. Because the industry is effectively self-regulated, there is no independent monitoring and the AITA has no real knowledge of the various brands coming in, the numbers or what proprietary systems they are running. “Without any formal inspection procedures in place there is a high risk of possible problems ranging from basic construction standards through to Workplace Health and Safety issues,” Mr Kenchington said. Cameron Paxton, director of sales at Toyota Material Handling Australia, said that inferior products from marginal manufacturers create headaches for buyers and the material handling equipment industry as a whole. “In many cases comprehensive site surveys are not completed during the sales process, resulting in inappropriate equipment being supplied,” Mr Paxton said. “On this equipment, compliance plates often don’t meet Australian Standards. Sometimes lift trucks are supplied that aren’t capable of lifting to the required capacity. “Developments in technology, which are readily available from most mainstream specialist forklift manufacturers, are not fitted. “This results in Australian owners not providing the safest possible work environments for their people. “l don’t believe this is what our industry is about. We are all committed to providing fit-for-purpose material handling equipment, and the number one priority is to keep operators as safe as possible,” he said. According to managing director of Lencrow Materials Handling Ross Grassick, warranty is another area where non-mainstream lift trucks can cause headaches. “The problem we’ve seen with many customers buying these units is they are offered a warranty but when a problem arises they are told that it covers only parts,” Mr Grassick said. “To compound the problem, the part has to come from the country the unit originated from and it often takes seven to 10 days, leaving the customer with no forklift and having to find a repairer to do the work. “Many repairers are reluctant as they cannot be assured that the unit complies with Australian standards. “In most cases these are small, single-unit companies, so breakdowns have a heavy impact on their ability to continue to work for the time that unit is out of action. “These costs are rarely measured, along with the four or five hours to diagnose and repair the unit, the cost of interruption of business, and the hire of replacement unit. How many lift trucks are coming into the country? AITA cannot say because it is unable to scrutinise the import information, but evidence suggests the number of enterprise imports has jumped from an ‘almost nothing’ baseline in 2010 to around 2,000 units in 2016. By comparison, total Australian lift truck sales last year were around 15,000 units. AITA says buyers and operators of the non-mainstream trucks have often described after-sales service from importers and retailers as “generally hit and miss” and stories abound about owners and operators being sent replacement parts under warranty but having to organise and pay for their own repairs. Derek Gearing, proprietor of Our Town Forklift Service in Newcastle, describes the budget-priced forklifts as a “headache” when it comes to technical support, build quality and spare parts. “There are no manuals and you can’t identify parts to tell you where they might have come from. You have to find a bit (from another manufacturer) that looks about right and then try to modify it,” Mr Gearing said. “They’re built to last for a certain period of time – about two years – and then you have to get a new one. Mr Gearing said much of the money saved by buyers on the initial purchase was spent on repairs and added maintenance time with the extra time and effort spent chasing-up parts and, in many cases, modifying them to fit, all of which adds to the cost of ownership. “I’d much rather work on product from any of the established brands,” he said. Mr Gearing’s claims support those of the AITA regarding the warranties being offered with the cheap trucks and the way those warranties are being honoured. The AITA says it is hard to determine whether or not the importers and retailers are meeting their obligations because some of them are reportedly not staying in business long enough for a proper audit to be conducted. Full service importers and retailers, on the other hand, warrant their new vehicles for service, parts and labour in a very different method to the ‘ship and fix’ system employed for many of the independent enterprise brands. So is a bargain really a bargain? And how do the purchase prices compare between the ‘known’ and ‘unknown’ brands? In general terms, Komatsu Forklift Australia national business development manager Jack Socratous said the upfront price difference between a ‘brand name’ truck and a comparable low-cost import is about $6,000. “A six-grand difference over five years is about five dollars a day but if it breaks down and you’ve got a bunch of urgent orders to get out then it’s worth nothing. Mr Socratous also questions vehicle longevity. The generally accepted working lifespan of a properly maintained new forklift from a recognised manufacturer, he says, would be about 10,000 hours – which is approximately the equivalent of travelling 200,000 kilometres – before major revitalisation work is needed. And while there is no solid data on the operational lifespans of the independent truck brands, information from operators suggests ‘equipment deterioration’ sets in at around 1,000 to 1,500 hours – as little as one-tenth of the proprietary brand’s working life prior to refurbishment. That has an obvious effect on the residual price of the equipment, Mr Socratous said, suggesting the retained value of a properly maintained mainstream lift truck would be ‘strong’ whilst an unknown brand would not enjoy anything close to the same sort of percentage value. He suggests, in fact, that after the same time period and even with an acceptable maintenance schedule, the unknown brand vehicles have almost no residual value. His view is supported by Damien Garvey, chief executive officer of Adelaide-based NTP Forklifts who said that, in his opinion, the budget enterprise imports have no real trade-in value whatsoever. “Honestly, I’d be reluctant to trade (them) at a fair market price. There is no real secondary market (for these lift trucks) and no back-up support. That lack of support has really come home to roost,” he said. Mr Garvey added that almost all purchases of the independent enterprise trucks were motivated by the price point with no thought given to the operating durability or maintenance needs of the vehicles. The bottom line? The benefits of saving money upfront on the initial purchase soon evaporate, disappearing in a cloud of smoke caused by unknown build quality, modest or non-existent warranties, lack of replacement parts, poor service back-up, higher maintenance costs, early onset deterioration, an almost-guaranteed lack of reliability and almost-zero retained value. A number of independent importers and retailers were approached for comment during the research for this story. All declined to be interviewed. The AITA is providing peace of mind for consumers purchasing material handling equipment through its Code of Conduct. AITA member companies are required to implement, maintain and embrace the association’s principles, which state that their products must be compliant to Australian Standards, as well as having adequate warranty cover, parts availability and longevity. For more information contact the Australian Industrial Truck Association (AITA) on +61 2 6290 1505, email aita@commercemgt.com.au or visit www.aita.net.au.